What devices does Calibre supports? Devices and formats that support! 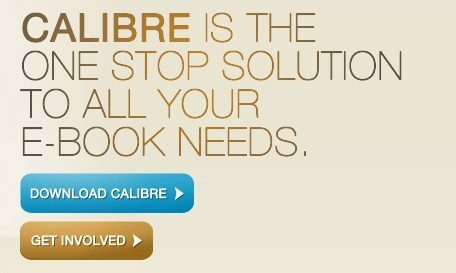 Calibre is open source software that enables users to access and manage eBooks of their preferences. With Calibre Support, users can also create and edit their eBooks from their e-libraries. Calibre runs on various hardware platforms which we are gong to discover in the next few lines. Since not all platforms support the same format of eBooks, Calibre has to support different key formats to run on different hardware devices. Let us therefore first explore the various ebook formats using Calibre support to drive the devices on which Calibre is readable. The different input formats supported by Calibre include; MOBI, EPUB, HTML, HTMLZ. CBZ, CBR, AZW, AZW4, AZW3, CBC, CHM, DJVU. ODT, PRC, PML, PDF, FB2, LIT, LRF, SNB etc. Though Calibre can convert source PDF files to other output files, the results obtained are not that satisfactory. This is worth noting. The different output formats supported by Calibre include; EPUB, MOBI, PDF, ZIP .TXT, TXTZ, RTF, TCR, RB, PMLZ, PDB, and AZW3. Desktop Windows operating system: This is one of the largest supporters of the Calibre software. The software runs effectively across all desktop devices with all its eBook management features in full operation. Desktop Linux operating system: The Linux operating system, though mostly used by developers effectively supports the Calibre software. With the software on a Linux platform, one can catalogue, view, and convert different eBook formats. Mac, iPhone, iPad, and iPod Touch: Calibre support is also available on Mac from which the other apple devices can sync e-Books into the iBookshelf. In the recent past readers with these devices had a challenge of importing books from their Calibre e-libraries (not originally designed and made by Apple.) Nowadays, readers do not have to worry about their Calibre e-libraries since they can now access their Calibre libraries on Mac and import their books to iBookshelf using Calibre on other Apple devices. Syncing or transferring eBooks to the iPad, iPhone, or iPod. This is done by clicking the get button under the book cover. Choosing “Open in iBooks” after navigating to the page where the command is found. On pressing the command “Open in iBooks,” the iBook application will appear automatically. iBooks will show the synced book from the Calibre software on the Mac. Visiting Calibre content server on the iPad, iPhone or iPod. After creating a content server on the Mac, it can be accessed on the iPad, iPhone, or iPod by inputting the IP and port addresses on the browser (in the URL address bar). Enabling Calibre Content Server Feature on the Mac device. This can be done by looking at the menu bar on top of the page displayed and selecting the command “Start Content Server or Share Content.” This will turn the three blue balls into green and show the IP address and port numbers. Loading the books that are to be synced into iPhones, iPads, or iPods by optionally dragging the targeted eBooks into Calibre. Downloading and installing Calibre on Mac. Other devices are supporting the Calibre e-library software. There are some mobile phone devices that have companion applications. These mobile phones can sync and manage eBooks from the Calibre support e-library. One such gadget is the Sony handset. If you are a publishing industry in search of quality publishing services, our company is ever ready to offer you the best. Exploit our pool of skills from; eBooks conversion services. Typesetting, Data Management Systems, illustrated artwork and much more all for your Calibre content. Feel free to call us or visit our offices for free samples. PreviousPrevious post:Ebooks And Print Books Aren’t The Same. Let’s Discuss The DifferencesNextNext post:Who Wins The Race Of The Best eBook Format?